For you to succeed in trading Forex, you will a profitable trading strategy. A trading strategy is simply a set of rules that stipulate when you should place a certain order and also when you should close the order. Forex trading doesn’t just mean placing buy and sell orders any time you feel like. For you to make profits, your orders must have been placed at the right time and closed at the right time. Generally, a trading strategy helps in managing the risk involved in trading by minimizing the chances of getting losses and increasing the chances of making profits. There are two types of trading strategies: the automated trading strategies and the manual/mechanical trading strategies. In manual trading strategies, the trader gets to do the market analysis manually so as to come up with the right times to open trades and also the right times to close trades. Most traders use manual trading strategies and they tend to a combination of technical indicators so as to analyze the markets. The technical indicators also give trading signals whenever the right trading opportunity presents itself. Most technical indicators come with trading platforms. For instance, if you are using the MT4/MT5, you can go to the insert section and down to the indicators and there will be a long drop down list. However, there are some indicators which don’t come with the trading platform and you will require to download then online. Nowadays, there are trading systems which come with a complete combination of technical indicators that make up a trading strategy. You will only need to download the whole file containing all the technical indicators needed. With such, you will have to first learn how it works before using it. 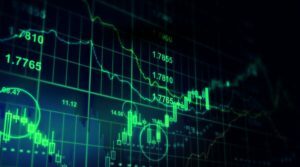 The automated trading strategies involve the use of expert advisors (EAs), which are scripts or programs specially made for analyzing the markets, placing orders and closing the orders on their own without depending on the trader. There are many available EAs on the internet with some being free while others require the trader to dig deep into his or her pockets. In most cases, the expensive EAs tend to be more profitable, although they can also be scams. For more experienced traders who are interested to coding/programming, they can come up with their own EAs by writing down the programs using the MQL4 or MQL5 for MT4 and M5 trading platforms respect. There are also other programming languages that can be used including Python. With the automated trading strategies, there are no emotions when trading. The EAs will execute its program irrespective of the prevailing market conditions. However, there is a notion with most traders especially beginners who tend to thing by using the EAs, they will not make losses. NO! A good EA will make some losses to. The most important thing is that the losses should not exceed the profits; that is the only time we can say that the EA is profitable. Before you use any trading strategy on your real trading account, you should ensure that you have tested it in a demo account to find out whether it is profitable or not. For the case of automated trading strategies, you should back test your EAs first and then also test them on the demo account with the exact conditions that you would like to use in your real account. For instance, you should specify the exact lot size that you will be using in your real trading account. You have to follow the rules of your trading strategy to the letter. Only trade when the strategy says trade. This is usually had for the manual trading strategies since at time your emotions tries to get over you and you end up thinking that your strategy was wrong to say you should not trade and you go ahead and trade. Remember there was a good reason as to why the strategy says no trading at that time. Failure to follow all the rules of your trading strategy can lead to great losses. Even when using trading strategies, you will still close some trades with losses. The markets will not always move in your favor no matter how much you analyze them. A good trading strategy will however, make more profits than losses. No matter how many trades are closed in the loss, the overall profit/loss is what should count.